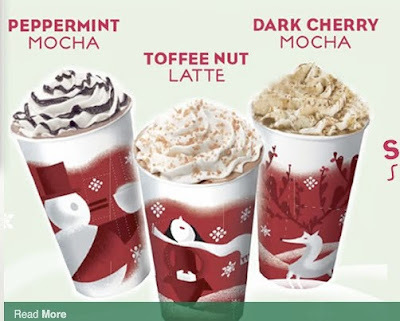 Stopped by the Starbucks in Ion today with Kas to savour the new holiday menu. 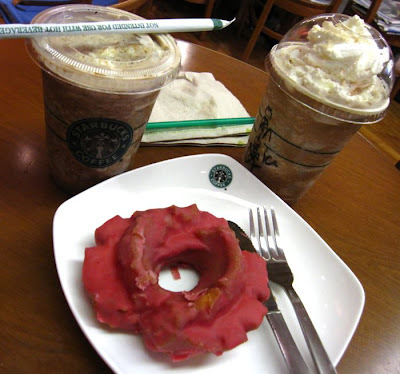 I got my favourite Dark Cherry Mocha frappucino (so sinfully delicious!) while Kas had the Toffee Nut frappucino. We also shared the Raspberry Old Fashioned Donut, which was pretty yummy although the pink icing got a bit too sweet for my liking after awhile. 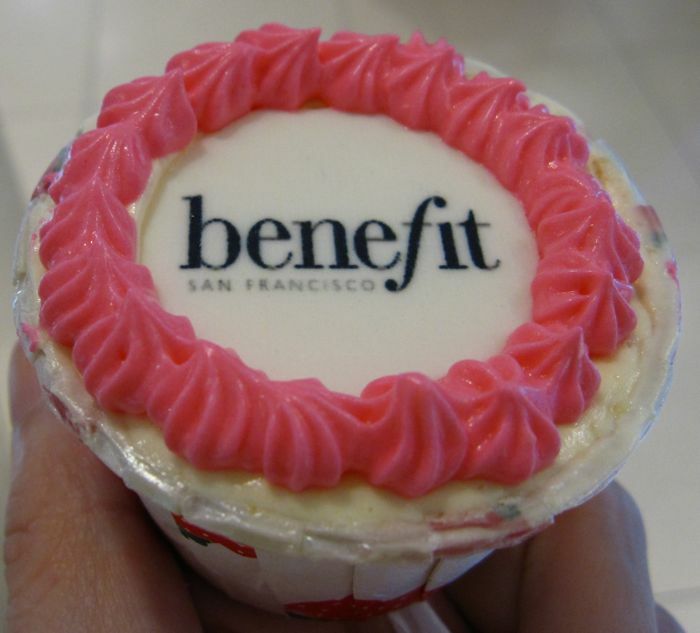 While in Tangs, we also received this cute little cupcake at the Benefit counter but it wasn't really that tasty though.